Today is officially the start of storm season, and if you’re a Florida homeowner that is unprepared, serious problems may develop later on. Guaranteed Garage Repair is here to provide comprehensive garage door repairs to Sebastian, Vero Beach, Port St. Lucie, and beyond. For more than 20 years, our certified technicians have worked to enhance the experience for our customers, providing garage door services so beneficial that we guarantee them. Our team carries the best training and equipment to deliver amazing results for your home or business. As long-time Florida residents, we know the importance of having an overhead door system that runs safely and reliably at all times. We proudly provide garage door repairs to Sebastian residents to protect their loved ones and property from damages associated with hurricane season. Read on to learn about a few benefits of our services before calling today for an appointment! The last thing you want is to be caught in a major storm only to be left out in the rain and dark with your arms full of groceries. Investing in garage door maintenance will help to deliver better operational capabilities for your overhead system. Reliability is important, and our services ensure that your garage door opener works on the first click. Garage doors that do not open or close properly can also be a safety hazard, necessitating the need for professional assistance to restore all safety measures. If you’re a proud DIYer, we commend you for being proactive in caring for your property. When it comes to fixing a garage door, though, we recommend professional help. One major reason is because our team is trained to offer cost-effective solutions that are also long-lasting. Instead of putting a band aid over the problem, our technicians deliver long-term results that provide a high ROI. Guaranteed Garage Repair also takes pride in our timeliness. Our experts are experienced in diagnosing a wide range of problems across numerous overhead door systems. This means that we’re able to complete our services faster, reducing any inconvenience to your family, customers, or anyone else visiting your building. Less time spent working on your repairs also equates to lower costs, saving you doubly! In the end, the value of our garage door services comes from the confidence that you can have in a quality outcome. We provide the best warranty programs, backed by top-notch customer support to give you a sense of pride in the quality of your home improvement. Our team also works to deliver each service in the safest way possible, saving you from the risks of doing the repairs yourself. As our name implies, we’re so confident in our Top Rated Local® garage door repair services that we offer a risk-free guarantee. We work for your 100-percent satisfaction! 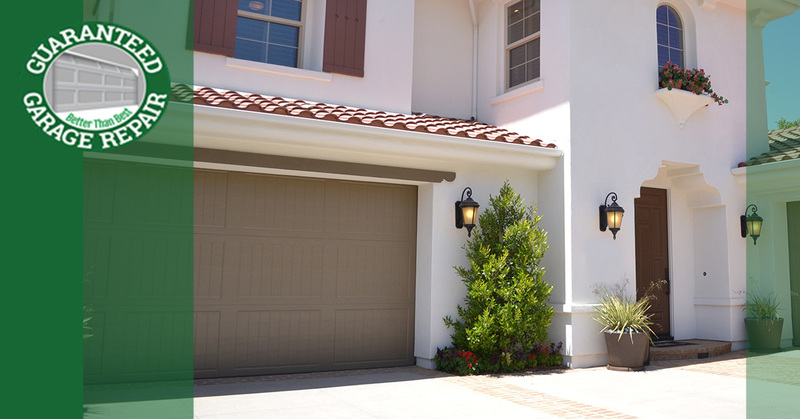 Guaranteed Garage Repair is proud to provide the best services to Northern Florida, delivering garage door repairs to Sebastian homes and beyond, backed by support, comprehensive warranties, and cost-effective specials and discounts. If you’re worried about your overhead door system for hurricane season, be sure to contact us today to schedule your appointment!